Netflix has responded to director Steven Spielberg’s continued push to prevent the streaming service from receiving nominations at the Oscars. The streamer, which distributed the Academy Award-winning film Roma this year, posted a statement to its Twitter account Sunday night making a case for its role in leveling the playing field for movie viewers everywhere, as Variety points out. We love cinema. Here are some things we also love:-Access for people who can’t always afford, or live in towns without, theaters -Letting everyone, everywhere enjoy releases at the same time-Giving filmmakers more ways to share art These things are not mutually exclusive. The statement comes after Spielberg, a member of the board of directors for the Academy of Motion Picture Arts & Sciences who represents the directors’ branch, suggested a rule change that would prevent films that debut on streamers or have only a limited run in theaters from receiving Oscar nominations. He argues these films are TV movies, and should therefore instead be eligible for Emmy awards. 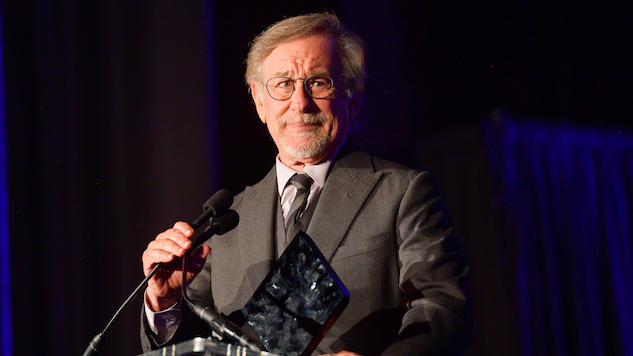 Spielberg has long been a favorite of the Academy Awards, having won three himself and contributed to countless others. His company Amblin Partners co-produced Green Book, which beat out Netflix’s Roma in the Best Picture race this year. However, Netflix still took home three awards for Roma and one for the documentary short Period. End of Sentence.. The debate surrounding streamers’ eligibility at the Oscars is set to grow quite a bit in the coming years. Disney, Comcast and WarnerMedia, among others, are all preparing to debut their own streaming services, and we’re likely to see more and more streaming films receive Oscar buzz each year as a result. At the heart of this debate is a question about the length of time that a film needs to play in theaters before it can be in contention for an Oscar. As Netflix has moved into producing more original feature films, it has insisted that all of its Oscar-worthy productions premiere in theaters alongside their release on the streaming platform, but only for a short time. Roma, for example, had an exclusive three-week run in theaters before becoming available exclusively on the streamer. However, exhibitors argue that this is not a long enough period for Oscar hopefuls to remain in theaters, perhaps out of fear of moviegoers simply staying home and waiting for the film to arrive on streaming platforms. They have resisted director Martin Scorsese’s plans to give his forthcoming Netflix film The Irishman the widest-ever theatrical release for a streaming movie, demanding that Netflix and Scorsese allow the film to play in theaters for at least a few months before landing on streaming. Spielberg’s proposed rule change will likely be discussed at the traditional post-Oscars meeting of the Academy’s board of governors, which is set to take place in April.